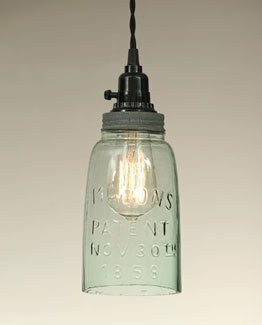 Today I have gathered up some mason jar kitchen lights for your home. 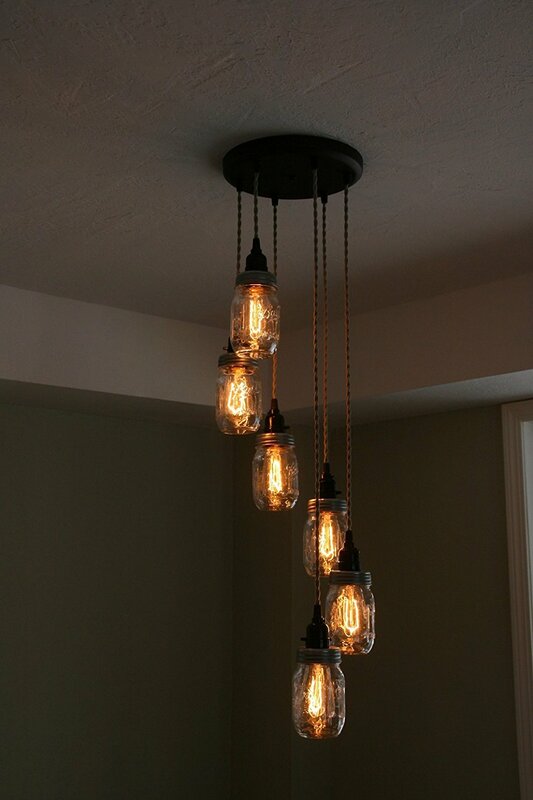 I am creating a mood board of sorts for my kitchen to gather some inspiration. We hope to start within the next few months on an overhaul of the space. 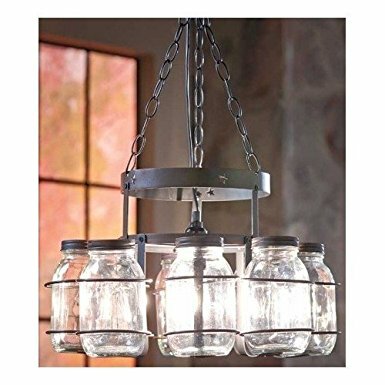 I really, really want to add some mason jar lights to the space. 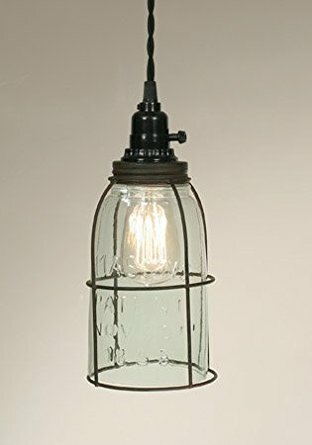 I was surfing around on Amazon for some ideas and thought I would share some of my favorites with you all. Please note that the links below are affiliate links which means that you do not pay anymore but a portion of your purchase will go to support this site. 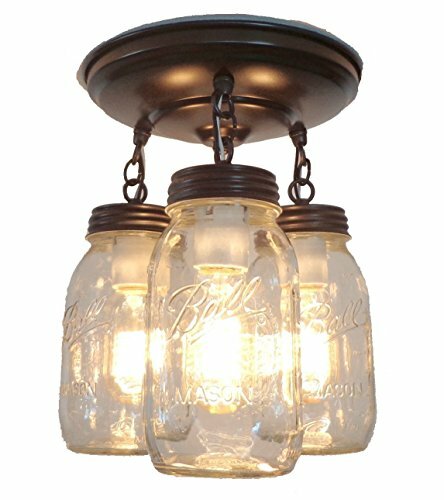 Click on the links or pictures below to be taken directly to the page on Amazon with the light shown. Happy shopping! 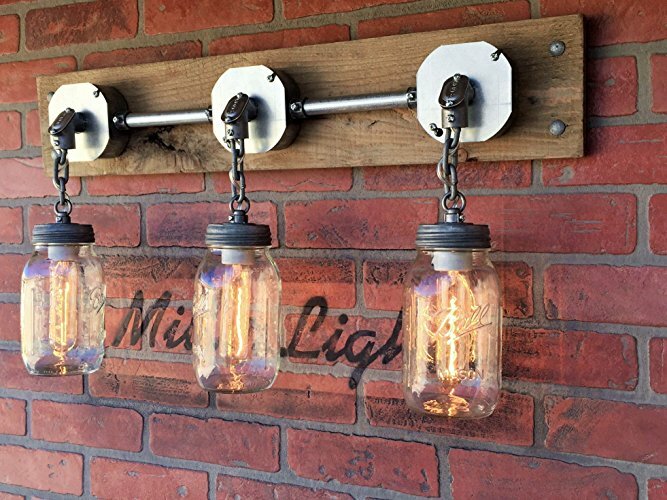 Did you find the mason jar kitchen lights of your dreams? 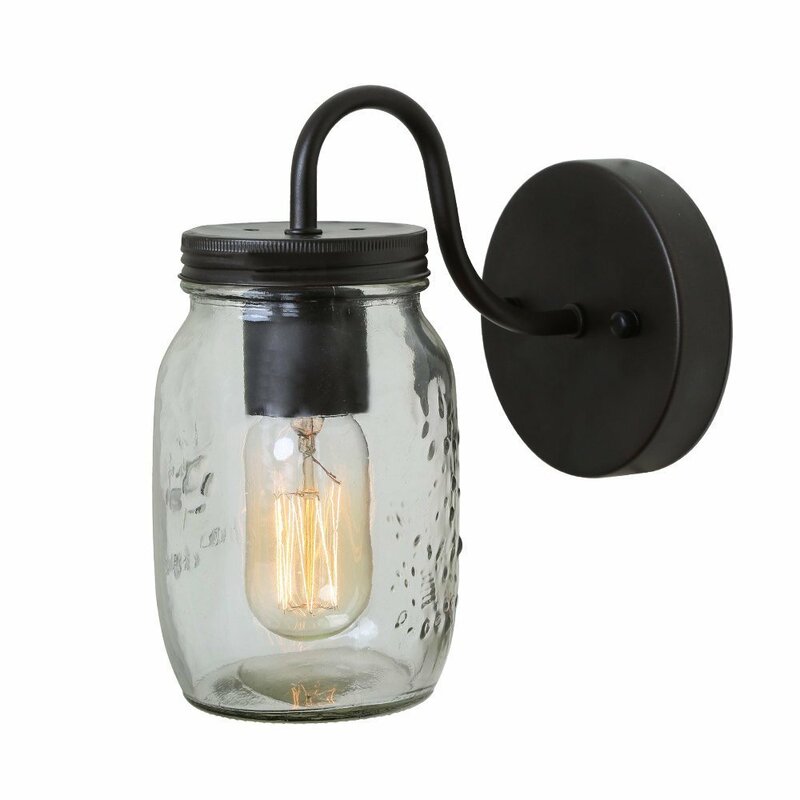 I hope this has inspired you to add some farmhouse style to your own space in the form of some new lighting. 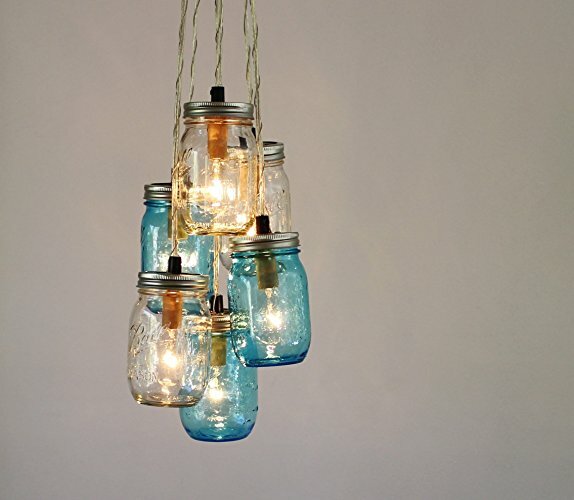 I love mason jars so these lights are perfect for my space. What about yours? 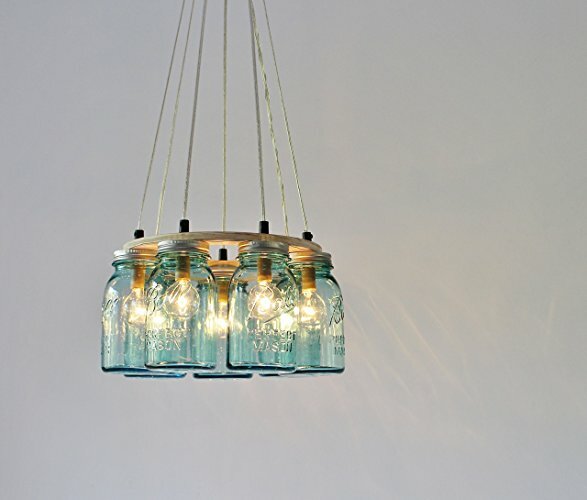 Want to make your own mason jar kitchen lights instead? We have a few ideas for you there as well! 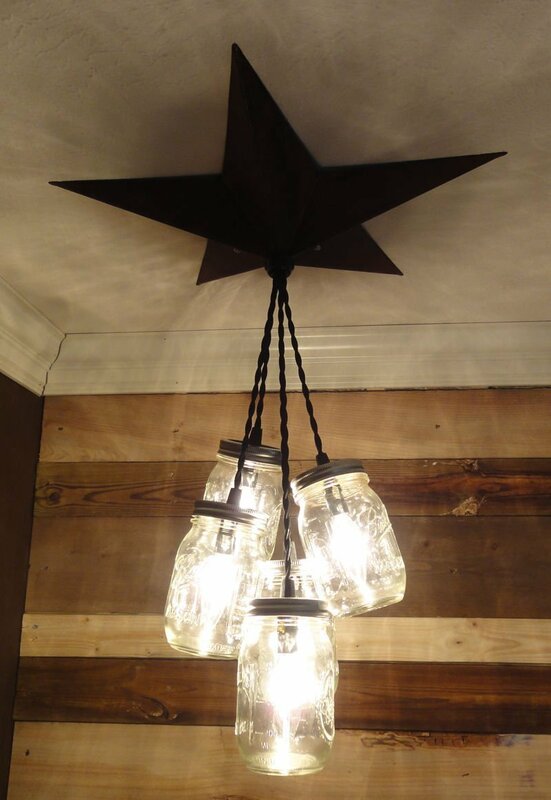 Click on the links below to be taken to ideas for creating your own DIY mason jar lights. It may be cheaper to create your own instead of purchasing. Plus you will get the satisfaction of knowing that you made it yourself. 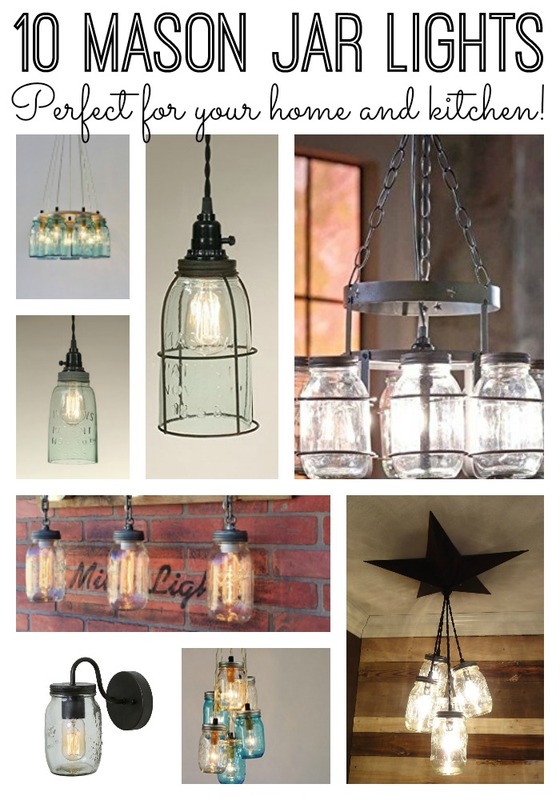 Either way you go, be sure to add some mason jar kitchen lights to your home! 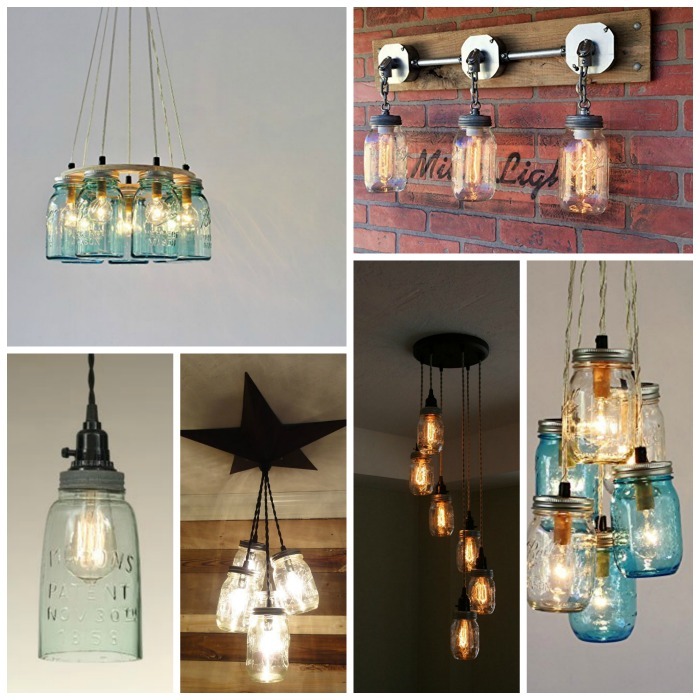 You might also enjoy these mason jar lights! previous post: Painting Toy Wood Instruments – a gift idea! next post: Dr. Seuss Quote Globe – an easy DIY project!